Although the effects of chronic kidney disease (CKD) become more severe as the disease progresses, there are a number of options that can be effective in managing the disease if it is detected early. This is one of the reasons why knowing what symptoms to look for and having a good understanding of CKD can help patients begin managing the disease earlier and therefore get a much better start at maintaining kidney function and slowing the progression of disease. 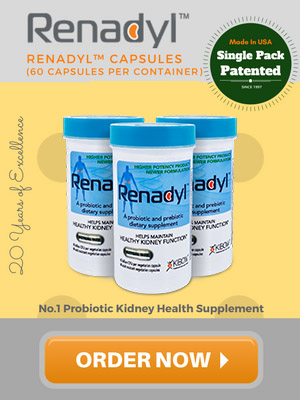 Because CKD is a complication of many other diseases, it is important to control the primary dis ease that is causing the kidney damage, such as diabetes or hypertension. So, many of the tools used to manage the early stages of CKD involve maintaining or improving levels of blood glucose or blood pressure. Monitoring becomes increasingly important, as other issues like heart disease and stroke may develop. Below are a few recommendations a doctor may make or management options he/she may prescribe in order to slow the progression of CKD. 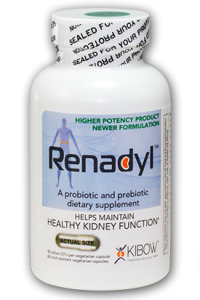 Certain probiotic microorganisms feed on toxins that build up in the body when impaired kidneys are unable to filter them out of the body. They use these toxins as nutrients to grow and multiply while carrying them into the bowel to be excreted with feces. 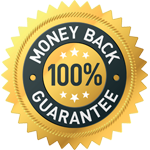 Click here to learn more about the power of probiotics. 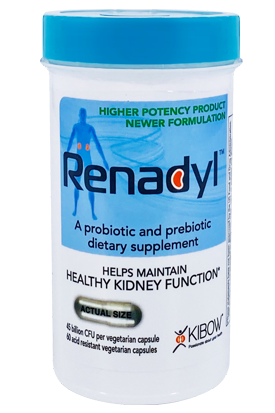 Then, discover the unique benefits associated with Renadyl™, a scientifically formulated probiotic that aims to help promote kidney health. Patients with diabetes should try their best to monitor their blood glucose levels to keep the diabetes under control and be vigilant taking medications recommended by their doctor. Proper glucose control helps to minimize the risk of overworking the kidneys to rid the body of excess glucose, which could eventually lead to kidney failure. Patients with diabetes should talk to their doctor about what he or she may recommend to keep blood glucose levels under control. High blood pressure can put a strain on the blood vessels in the body. Tiny blood vessels, like those found in the kidneys, can become damaged from high blood pressure and impact the kidneys’ ability to rid the body of waste. Blood pressure medications can help patients keep their blood pressure within a normal range (at or below 130/80 mm Hg) and preserve kidney function, which slows the progression of kidney disease. Patients with high blood pressure should talk to their doctor to find out what may be right for them. A healthy diet and exercise can help everyone keep their bodies healthy. The right diet can help patients with CKD maintain proper levels and keep the kidneys from overworking. Exercise also helps the body work more efficiently and helps some patients lose or maintain their weight. This can have a major impact in slowing the progression of CKD, especially in diabetic patients. To learn about living a kidney-friendly lifestyle, visit the lifestyle page.